QUIZ: How many people in the photo either worked or was associated with John Lennon? 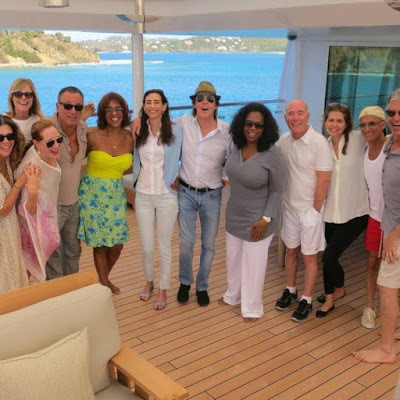 The guy on the Oprah's other side is David Geffen. and Meryl Streep, David Geffen, Jimmy Iovine too! Might be Tom Hanks wife on the far left. that's one hell of a boat crew.